The Spending Review 2015 (SR15) will set the parameters of the public finances and related changes to public service delivery for the period 2016-17 to 2019-20. The past five years have seen unprecedented funding cuts to the sector: a trend likely to be repeated with austerity set to continue as the government aims to deliver a budget surplus by 2020. If services are to be maintained in a period of growing demand and spending restraint, an alternative approach to the status quo is essential. “Across the country £7 in every £10 of central government funding will have been removed from local government by the end of the decade. London is facing bigger cuts than elsewhere – 44 per cent since 2010 with the same again expected over the next four years and there is growing evidence that the limit of what is possible, in terms of both productivity and efficiencies, has been reached. “Delivering the same number and level of services will not be possible without reform of public services and new ways of working. In our submission we are urging government to press ahead with greater devolution in London to boroughs and the Mayor. The submission contains models which demonstrate that the biggest statutory responsibilities councils have – adult and children’s social care, public health and waste management – could account for more than 80 per cent of all local government spending in the capital by 2020. 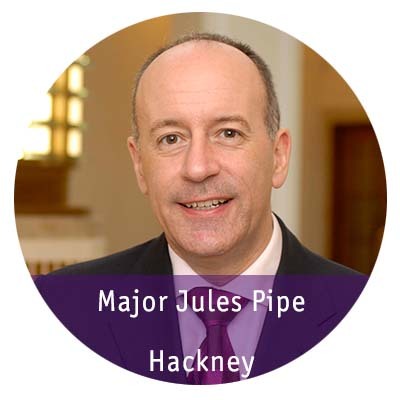 Mayor Pipe added: "As demand for services increases and funding continues to be squeezed many highly valued but unprotected council services will become increasingly unsustainable." The Spending Review represents a pivotal moment for the government to redefine its relationship with local government. London Councils welcomes the government’s commitment to take English devolution a “big step further” in the Spending Review. London already has a unique set of governance arrangements and its unique set of public service challenges, delivering services to a complex and rapidly growing population whilst enhancing its role as the driver of economic growth for the rest of the UK, means that devolution in the capital must be necessarily different from elsewhere. London Councils, together with the Mayor of London, is submitting a separate document 'The London Proposition' alongside this submission which outlines our joint proposals around devolution and public service reform. This report focuses on the broader question of where government spending priorities should lie for the next four years. It is important that the pressures caused by population growth in London and new burdens relating to new government policies are recognised in the Spending Review. Reform of the finance system should also be a priority to give councils a stable platform to maintain public services, raise productivity and drive economic growth during a period of continued spending reductions.